For the last year or so, English Freemasons have enjoyed greater public visibility owing to the 300th anniversary of the 1717 founding of the premiere Grand Lodge. But on the heels of that visibility, out has popped a resurgence of anti-Masonic messaging across England in several government venues that had largely died down over the last dozen or so years. 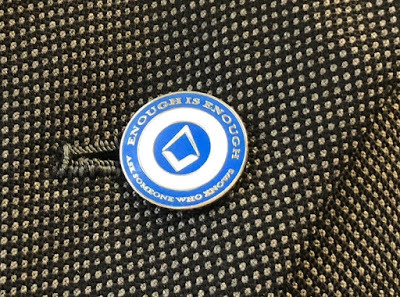 In contrast with earlier strategies of refusing to answer or confront critics, the United Grand Lodge of England has been fighting back with the #EnoughIsEnough campaign. That hasn't dissuaded various bureaucrats from singling out Freemasons in government as being somehow nefarious, or at least worthy of having their membership publicly declared. The implication is that there is something suspicious about Freemasonry above any other social, political, religious or cultural organization. The problem, as many Masons around the world outside of the U.S. are well aware, is that public declaration of their membership only winds up being used to discriminate against them by anti-Masons. Plus, such policies violate the EU's Human Rights Act because they single out Freemasonry alone for such requirements. The fraternity is a non-sectarian, non-political, voluntary association, and Masonic membership is perfectly legal in England. Therefore, attempting to figuratively brand politicians or government workers with a scarlet square and compass as though there is anything wrong with Masonic membership — solely because of their membership — is demonstrably illegal, throughout the U.K. and Europe. The County of Norfolk's governing Council is the latest to attempt to 'out' Freemasons in a purported crusade for "transparency" in government. On Monday this week, Labour Party councilor Mike Smith-Clare proposed a policy forcing any sitting Masons on the Norfolk Council to declare their membership publicly, singling the fraternity out specifically. The proposal was made despite the fact that the UGLE's legal counsel Andrew Proctor notified the Council that such a requirement "would be unlawful." The result of the motion being made on Monday wasn't what the Labour members had hoped for. Labour councillors left a Norfolk County Council meeting en masse after accusing the Conservatives of “wrecking” a motion calling for councillors to have to declare if they are freemasons. Labour’s Mike Smith-Clare had tabled a motion calling for members who are freemasons to have to declare it on their register of interests. Freemasons on Suffolk County Council already have to do that. Mr Smith-Clare said: “The motion is neither controversial or contentious. “It’s an honest attempt to promote accountability, openness and transparency amongst us. Conservative Ron Hanton said he was a freemason and proud to be one. But he said the motion discriminated against freemasons, questioning why it was not seeking for councillors to declare themselves as members of, for example, rotary clubs, the round table or of trade unions. Fellow Tory Tom Garrod, who is also a freemason tabled an amendment to the motion. It removed all reference to freemasons and instead asked the standards committee to review the code of conduct to ensure members operate within a framework of accountability and transparency. Conservative Stuart Dark said he was concerned the implication of singling out freemasons was that there was something wrong with being a member of that organisation and made reference to the Human Rights Act. That angered Labour deputy leader Emma Corlett, who said it was rich of the Conservatives to talk about that when there are cuts to social care. She accused the Conservative amendment of being a “wrecking motion” and said it was a “shambles”. All Labour councillors then walked out of the council chamber. The Conservative amendment was passed, with Tory Tom FitzPatrick saying it made sense for the issue to be looked at by the standards committee. Labour did not return for the rest of the meeting. Suffolk County Council asks for all groups to be declared, which is not limited to the freemasons. They ask for declarations of interests in regards to many things, such as bowls clubs or even charity organisations such as St John Ambulance. “Freemasons are welcome to disclose their membership voluntarily and are obliged to disclose their membership where a specific conflict of interest could arise. “However, the proposed motion if passed would impose an unlawfully wide obligation on Freemasons. A Scarlet Square and Compass. I love it!